On Wednesday a member of the Titan Partnership came to collect three sculptures for their annual dinner competition. 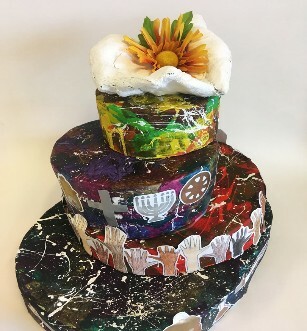 Pupils in Year 7, 8 and post 16 have been working really hard for the past three weeks to create their submissions and although they have not yet had any feedback we are really proud of their work and wanted to share their final pieces. We’d also like to thank Miss Matthews for organising and supporting the students throughout this project. When asked 'what do you feel represents this school or what will you remember most', the sixth form pupils, who have attended St Edmund Campion Catholic Secondary for 6/7 years answered quite literally- the big tree on the playground. With further thought and consolidation, they have taken this and developed the idea as a representation and metaphorical link also, to the growth and positive development they have all individually experienced during their school life. 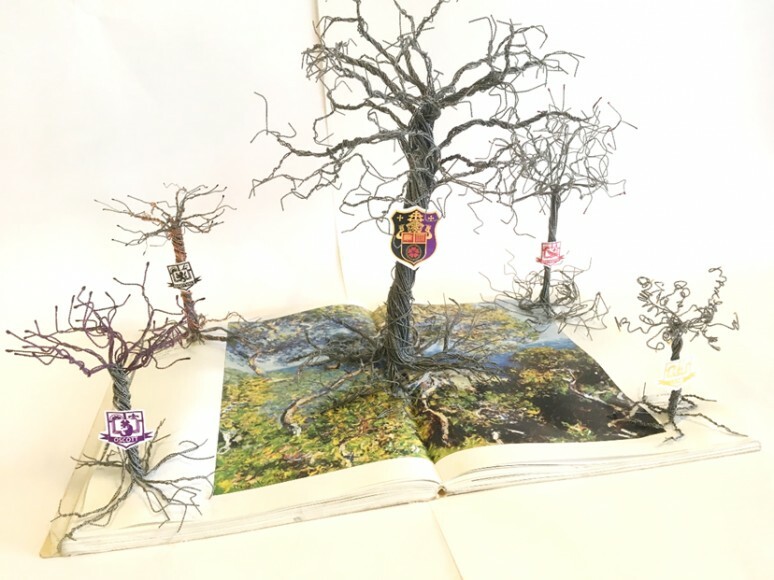 The trees are wire sculptures which represent the four house groups; Maryvale, Chad, Oscott and Harvington. In addition, a large central tree representing the school as one whole community with roots that build solid foundations for the branches to grow. The sculpture is based on a book representing the knowledge and learning that has supported them throughout. 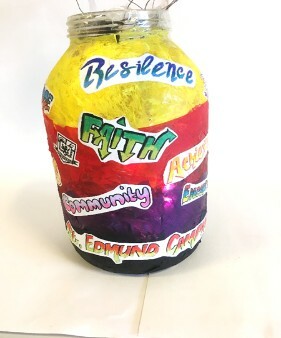 The year 8 pupils have created a vase sculpture which they feel best represents St Edmund Campion Catholic School to them. 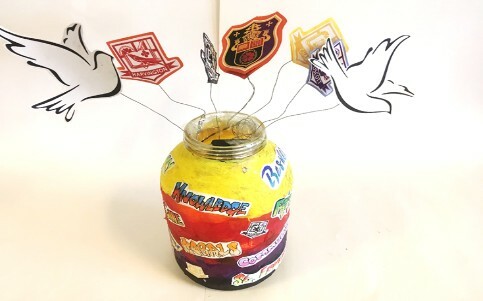 With links to the house colours, house logos and catholic faith, they have adapted a contemporary theme which resonates with their youth and interests. 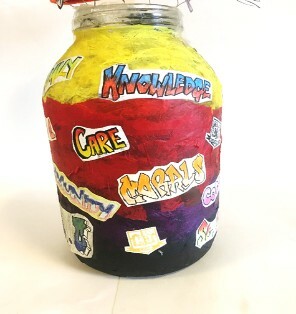 The graffiti tags are all words chosen by the pupils which they felt summarised the school and their personal experiences. The piece also features lights inside to represent the light inside each individual at the school and their future potential. 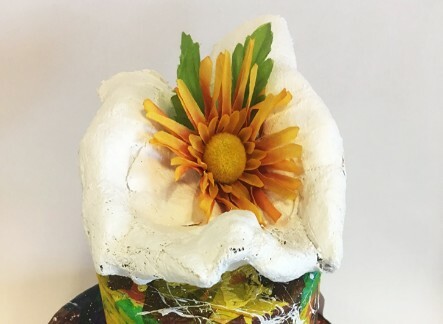 Our year 7 pupils have collated a galaxy themed sculpture as a metaphorical representation of the sky’s the limit with opportunities provided at St Edmund Campion Catholic School. 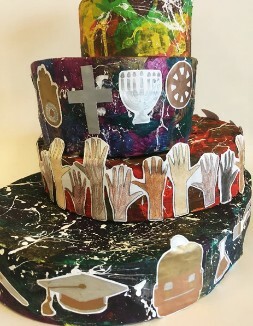 The abstract formation stands among a visual representation of the diversity within the school and shows how young people from different backgrounds, races, religions and genders stand together united as one community.